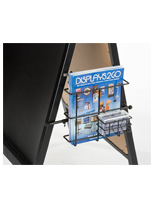 SnapFrames : This snap-open display is 1 of the hundreds of poster frames & sign holders we offer online! 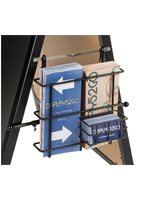 This A-frame sign is a sandwich board that can hold two 30"x40" posters or signs. Allow a 1" perimeter around the entire poster for the frame edges. The A-frame sign sits on 4 legs about 6 inches long. Perfect for setting outside your office walkway or retail front entrance, the A-frame sign is made from aluminum and designed for outdoor use. The A-frame is an outdoor sign that contains a protective lens made from PVC plastic that will reduce the chances of water from seeping onto your poster. The lens covering is made from a non-glare plastic so the sign remains clearly visible even in the bright sun. 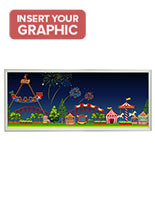 Also, the A-frame sign has a viewable area that is large enough to be seen from a distance. 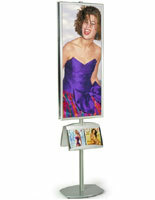 We sell this A-frame with 4 snap-open sides on each of the 2 sides, for easy loading and unloading of posters. 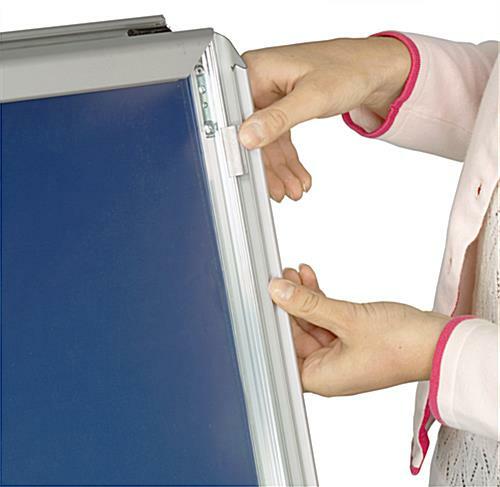 The 2-sided folding A-frame is held together by 2 spreader hinges, which make it very simple to fold open and close. 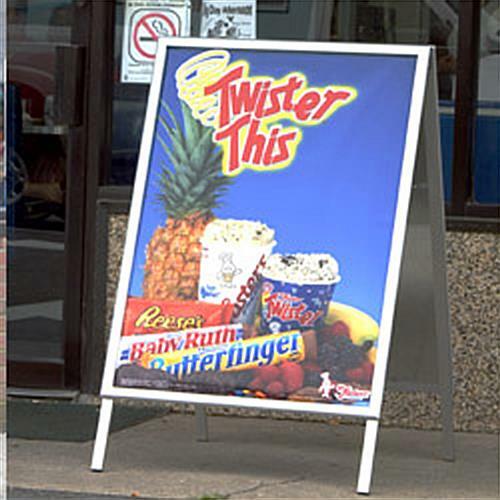 A-frame signs, sidewalk signs, sandwich boards and other temporary signs are constructed from lightweight aluminum to make it easy to transport to and from locations. 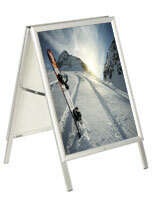 Buy this A-frame sign online and start luring customers to your business! Please Note: Product is not intended for use in inclement weather, including high winds, rainstorms, or snow storms.